Credit for my begining to work with the brass screw type PTO should be given to WA6OTP who builds and sells a PTO Kit. You can see his product at <http://www.wa6otp.com/pto.htm>. I tried to take his design a few steps further by adding more stability to the screw and by providing a convenient front-panel bezel to make it look a bit more professional. You do not have to make yours exactly like mine. Make it fit the contents of your junk box and what you can purchase locally and inexpensively. 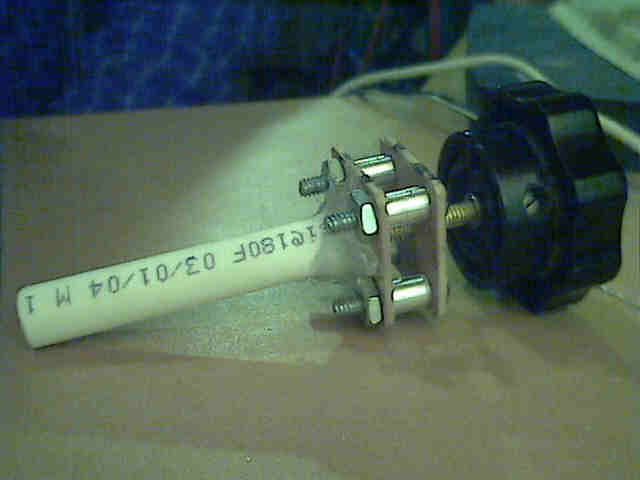 Use whatever oscillator circuit you are familiar with, and try to make improvements on both my and WA6OTP's ideas. 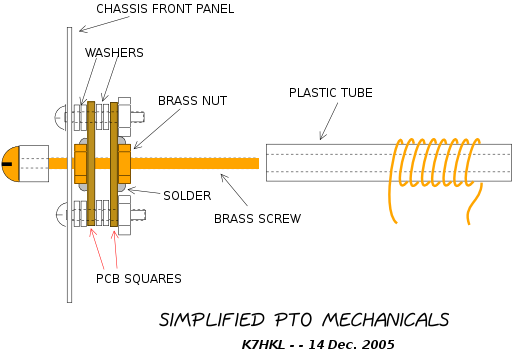 The argument for a screw type PTO is that it provides very slow-motion tuning without using an expensive speed reduction mechanism, it is inexpensive to construct, and almost anybody can build one. 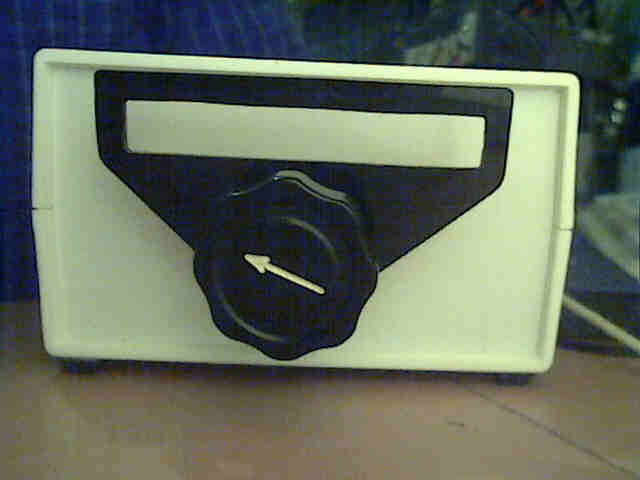 The negative aspect of this design is that the tuning knob will move closer or further from the front panel as the frequency is changed. This is not usually a problem because 1/2 to 3/4 inch (12 mm to 20 mm) of travel is usually all the tuning that is needed. With a 32 turns-per-inch screw your tuning would be spread over 16 turns for 1/2 inch tuning and 24 turns for 3/4 inch movement. This is usually adequate for all or part of a ham band. 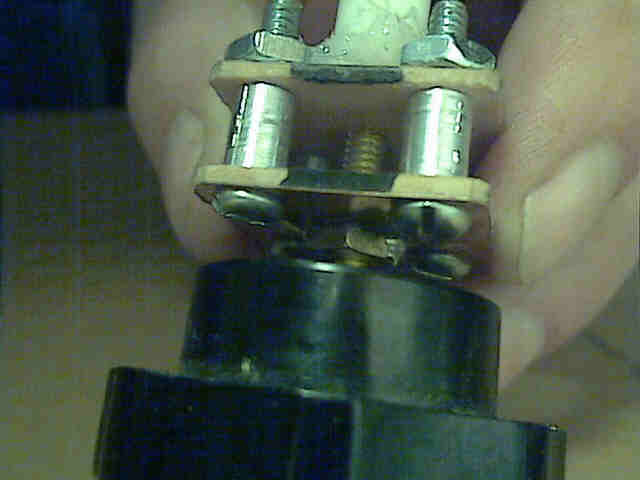 The tuning screw may be as small as 6-32 or much larger. 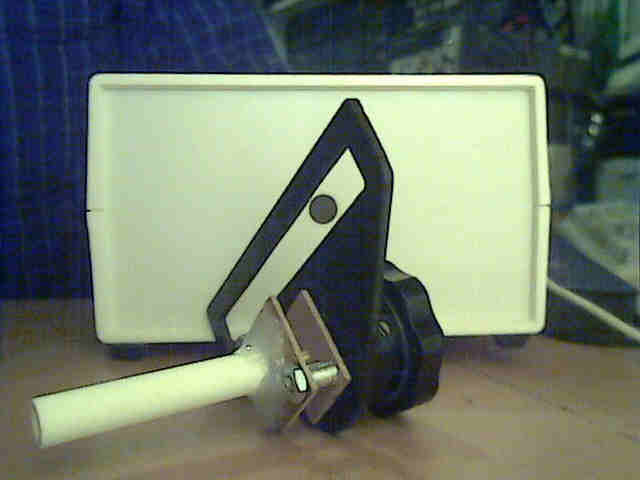 I have built several that used a section of 1/4 inch brass threaded rod inside a section of 1/2 inch PVC pipe. In the design shown below there is no provision for a dial readout of frequency. For QRP rigs that only tune a narrow slice of a ham band it is possible to do without this. For more serious use you can add an inexpensive frequency counter. For an 8-32 brass screw the PCB squares will need to be 1 inch on a side. 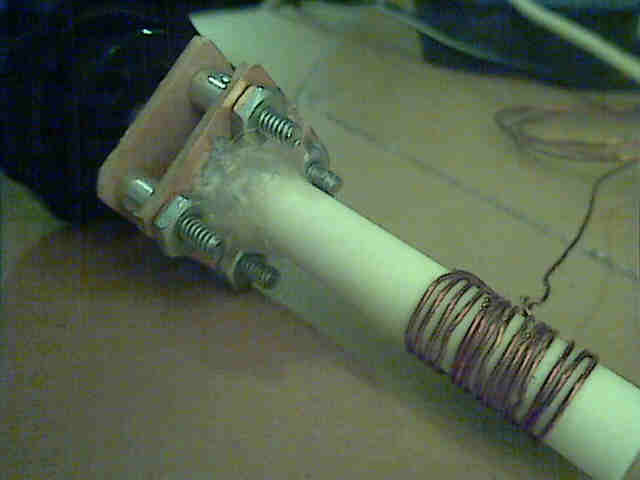 Fasten the plastic tube to the back of the mounting plate using hot-melt glue or epoxy. The coil may be slid back and forth on the form and spread or compressed to get the exact tuning range you need. The plastic tube in this case is nylon basin tube (the kind that connects water to wash basin valves). It is inexpensive and is 3/8 inch OD and 1/4 inch ID. The coil may be slid forward or back and expanded or compressed to get exactly the right tuning range. intended to have a digital frequency counter behind it for tuning readout on a direct conversion receiver. 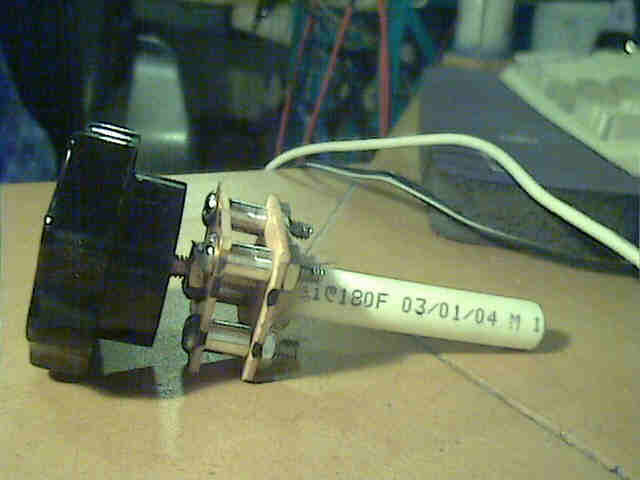 And here is the final product, ready for wiring the rest of the reciver circuit and listening on my favorite ham band.